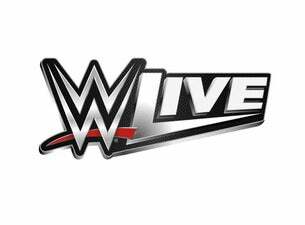 The WWE Live UK tour is making its way back to the UK and Ireland in May 2019. See your favorite Superstars from Raw and SmackDown, with installments of Raw and SmackDown LIVE broadcasting from London’s O2 Arena. Seth Rollins, AJ Styles, Dean Ambrose, Braun Strowman, Daniel Bryan, Nia Jax, Drew McIntyre, Becky Lynch, Bobby Lashley, Samoa Joe, The Miz, The New Day and many more* will appear in person for unforgettable WWE Live action throughout the UK. Kevin Owens, Daniel Bryan w/Rowan, AJ Styles, Samoa Joe, Asuka, Mandy Rose w/Sonya Deville, New Day, The Usos, Ricochet, Aleister Black, Rusev & Shinsuke Nakamura w/Lana, R-Truth, Carmella, Andrade w/Zelina Vega* will appear in person for the Dublin show. *Talent is subject to change.